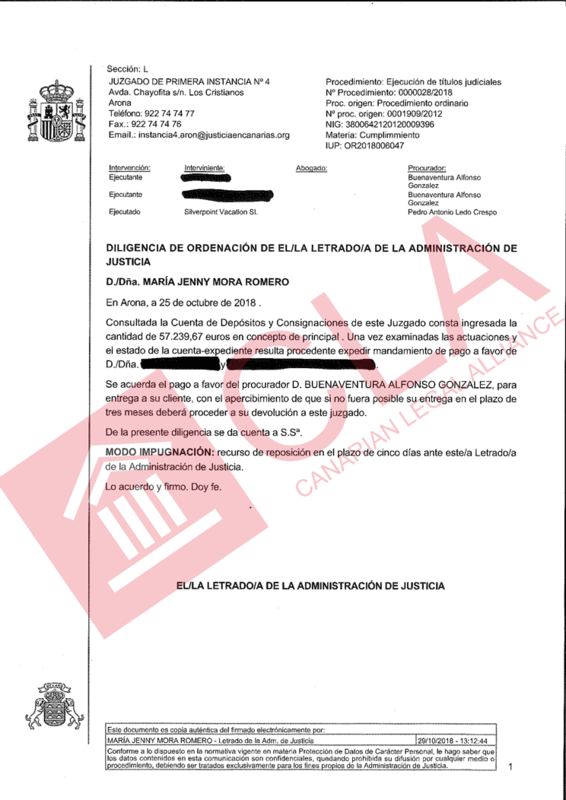 Canarian Legal Alliance is delighted to share with you one of our latest notifications from the Court in Arona, Tenerife, whereby they have informed us that they have received over 57,000€ for one of our clients. This is a direct result of our Sentence Enforcement which was lodged as soon as our German clients won their case against Resort Properties at the Supreme Court – where their contracts were declared Null & Void. After completion of a few bureaucratic steps our clients will soon have their money!